The European Court of Justice (ECJ) has ruled that territories of Western Sahara are excluded from an agricultural agreement between Morocco and the European Union (EU), casting doubts over Morocco’s quest for control over Western Sahara and upsetting Rabat’s recent geopolitical prospects in Africa. – Courts may continue to rule against Morocco, and in favour of the local pro-independence Polisario Front (PF), and the Sahrawi Arab Democratic Republic (SADR). – The African Union (AU) and other international organisations are far from accepting Morocco’s claim over Western Sahara. – Morocco will resort to chequebook diplomacy as well as cultural and religious influences to advance its hegemonic interests in Africa. 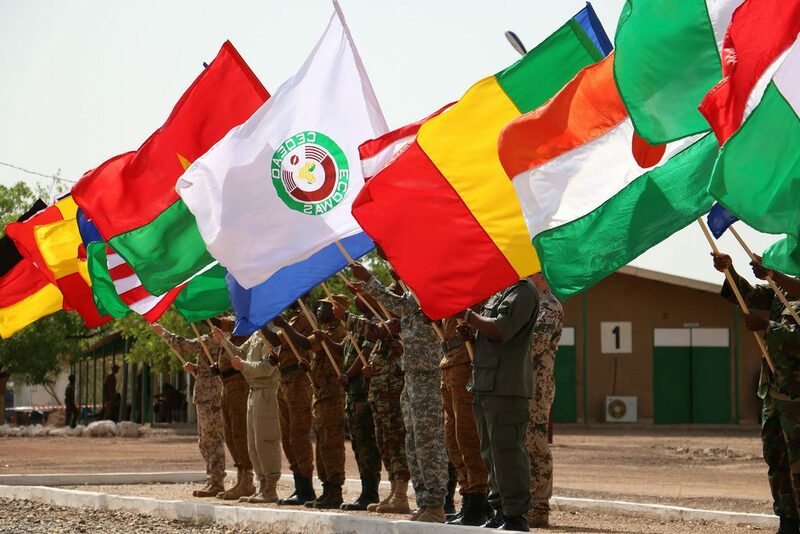 – Morocco’s return to the AU may increase diplomatic fistfights within the organisation (especially between Morocco and Algeria), and this will adversely affect Africa’s regional cohesion. 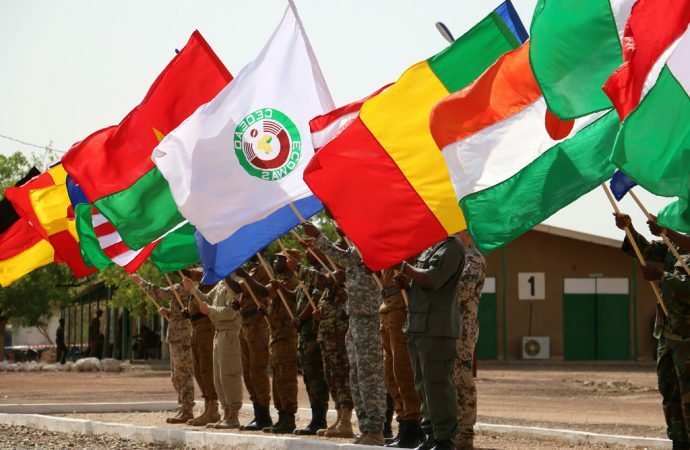 – Morocco must walk a geopolitical tightrope to realise its regional ambitions and claims over Western Sahara, failing which Morocco may leave the AU again. The recent ECJ ruling is only one of many legal defeats to have weakened Morocco’s claim over Western Sahara. In June 2017, a South African court determined that a seized Moroccan cargo carrying phosphate from the disputed Western Sahara be further detained. In 2016, Morocco suspended ties with Brussels after a lower EU court ruled that Western Sahara should not be considered part of Moroccan territory under an EU international agreement. These rulings went in favour of the Polisario Front (PF)—a political movement formed in 1973 to oppose Spanish rule, and they followed decades-long conflicts between Morocco and the PF-declared SADR over Western Sahara. Whilst Algeria supports the SADR and hosts its government-in-exile, the UN has declared Western Sahara a non-self-governing territory. The AU however recognised the SADR in 1982, and admitted it as an independent member state. In 1985, Morocco renounced its membership of the continental body in protest. Despite various attempts at resolving the conflict, the situation remains in a stalemate. Morocco only returned to the AU in January 2017. Morocco has worked over the years to discredit the SADR and to ensure that its de facto control over Western Sahara is recognised internationally, casting doubt over Rabat’s real intentions for rejoining the AU and its exploits across the continent. Morocco’s return to the AU against the will of powerful continental actors Algeria and South Africa is a giant strategic stride. Even though Morocco shares no borders with West Africa and is geographically in North Africa, Rabat is also on the verge of becoming a member of the Economic Community of West African States (ECOWAS) despite opposition by key Nigerian economic and political actors. Internationally, Morocco is a strong contender in the race to host the 2026 FIFA World Cup. All this Rabat appears to support with its ‘chequebook diplomacy’. So far, Morocco has also used its deep pockets to expedite series of strategic bilateral engagements and alliances with key AU actors such as Rwanda and Ethiopia, and infrastructural assistance to disturbed countries such as South Sudan. These strides will fuel Morocco’s rise to regional powerhood in Africa. In North Africa, these acts may set Morocco on its way to becoming an African hegemon in the Maghreb. However, autonomy over Western Sahara will remain an uphill task for Morocco. First, if past legal cases are good yardsticks, then courts might continue to rule against Morocco and in favour of the right to self-determination of the SADR. Morocco’s readmission into the AU may also be a shot in its own foot. Under Article 4 of the AU Constitutive Act, AU member states are obliged to respect the sovereign equality of all member states, including the SADR. There is also the obligation to respect the borders of members and the pledge of non-interference in their internal affairs, among others. In this sense, Morocco’s AU return may be a ‘major asset’ for the Sahrawi cause. Therefore, whilst the weakened political clout of Algeria—Morocco’s diplomatic arch-enemy (along with South Africa)—may mean that Morocco may have geopolitical advantages over Western Sahara, this will require the country to manoeuvre turbulent politico-legal and diplomatic waves within the AU and even globally. To offset the above challenges, Morocco may co-opt its future ECOWAS membership into the pursuit of hegemony over Western Sahara. Apart from the use of chequebook diplomacy, Rabat may utilise its religious ties in this regard. 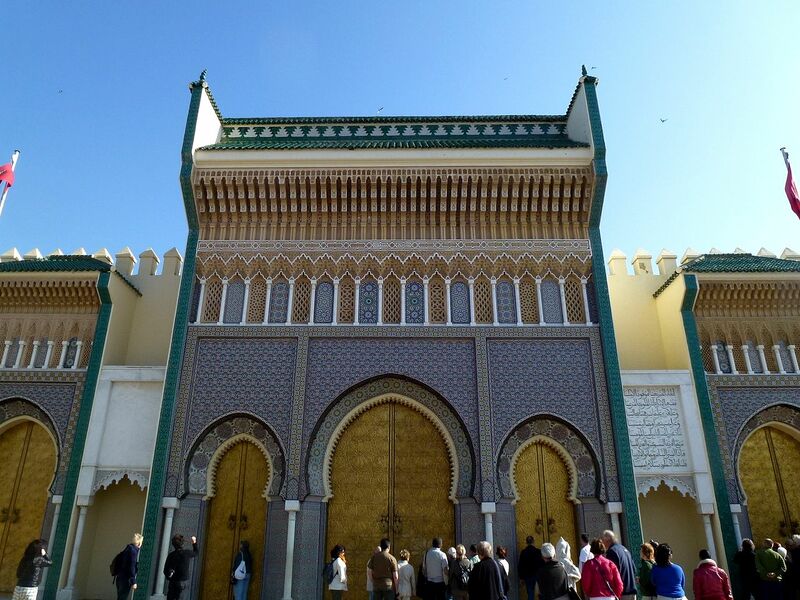 The Moroccan city of Fez is the headquarters of the Tidjaniyya Sufi brotherhood, which has been dubbed the secret weapon of Morocco’s soft power. The brotherhood has huge following in Senegal, Nigeria and Ghana, and the support of these West African states for Morocco would be key to Morocco’s regional ambitions. Morocco also has its traditional geopolitical triad to fall back on. Located at the ‘doorstep of Europe’, Morocco could maintain strong connections to the EU, especially with France. Cultural ties to many Arab League countries has constituted the second leg of Morocco’s geopolitical triad, and these countries have provided Morocco with strategic support, including over the Western Sahara conflict. The third leg of Morocco’s external outlook is African. Here, Morocco could continue playing important roles in the African continent, such as in UN peacekeeping and security operations, even during Rabat’s absence from the AU. This geopolitical triad will prove crucial to Morocco’s success in Africa, especially if the kingdom finds itself out of the AU again. France, the US and some Arab League countries will continue to support Morocco. Counterterrorism operations by western actors in the Sahel-Sahara may also provide strategic dividends to Rabat by bringing these key Moroccan allies in close proximity, and by promoting Morocco’s “moderate” Sufi brand of Islam (against religious extremism) in the region. DIPLOMATIC FISTFIGHTS OR ANOTHER AU WITHDRAWAL? Still, Morocco’s readmission to the AU might increase diplomatic fistfights with Algeria. With Algeria’s firm control over the AU’s security architecture, and with its strong pro-SADR position, Rabat has a powerful actor to reckon with in the AU. Already, Algeria-Morocco antagonism over Western Sahara has been principally responsible for the stagnation of the Arab Maghreb Union. Morocco’s return may thus draw the AU further into Algeria-Morocco tug-of-war over Western Sahara. This will further weaken the AU’s continental political cohesion and organisational efficiency. Importantly, if Morocco insists on imperial autonomy over Western Sahara, the matter may come to one of two options: the removal of SADR or Morocco’s second withdrawal from the AU. It is extremely improbable that Morocco could secure the required 2/3 majority support (36 AU members) to evict SADR. Additionally, the AU will not be quick to undo its strong anti-colonial foundations by supporting Morocco’s claim. Consequently, Morocco’s second withdrawal from the AU would be more probable. This will mean a return to the Kingdom’s pre-2017 status quo, and the utilisation of its geopolitical triad to remain continentally relevant. This will also be a win for the PF-led SADR, and Morocco will be further isolated in Africa and the stalemate of the Western Sahara conflict will continue.